One rainy day there lived a cat. The cat wanted to go swimming but it was raining. 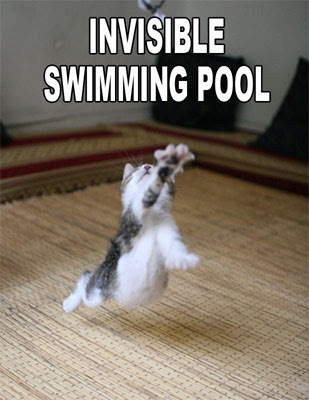 so she decided to make an invisible swimming pool. She jump and jump but she felt boring. Kety took a string and tied it around her big sister. Then here big sister said '' meow meow meow?" Later her big sister turned like the picture above.